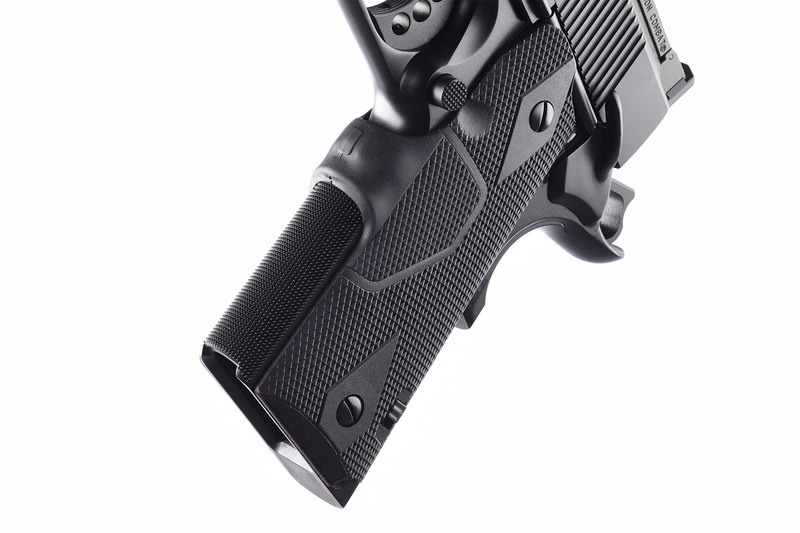 Hunter, our purpose-built custom 1911 hunting handgun, combines the recoil-taming effects of our integral single-port compensator and Crimson Trace laser grips for the ultimate in low-light performance. 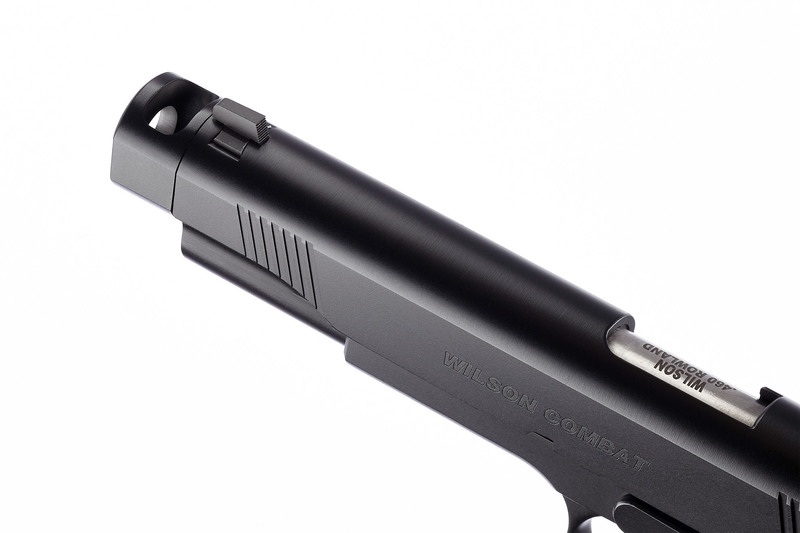 The Hunter, our purpose-built custom 1911 hunting handgun, combines the recoil-taming effects of our integral single-port compensator and Crimson Trace laser grips for the ultimate in low-light performance. 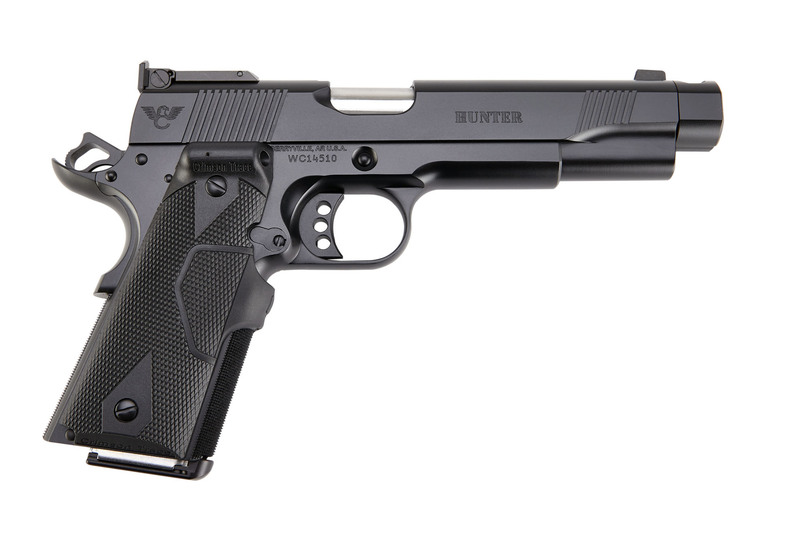 In 10mm, the Hunter is a versatile, accurate and reliable performer with the benefit of the flat shooting and common 10mm cartridge. Full-power 10mm loads easily exceed 1300 feet per second and approach magnum revolver ballistics. 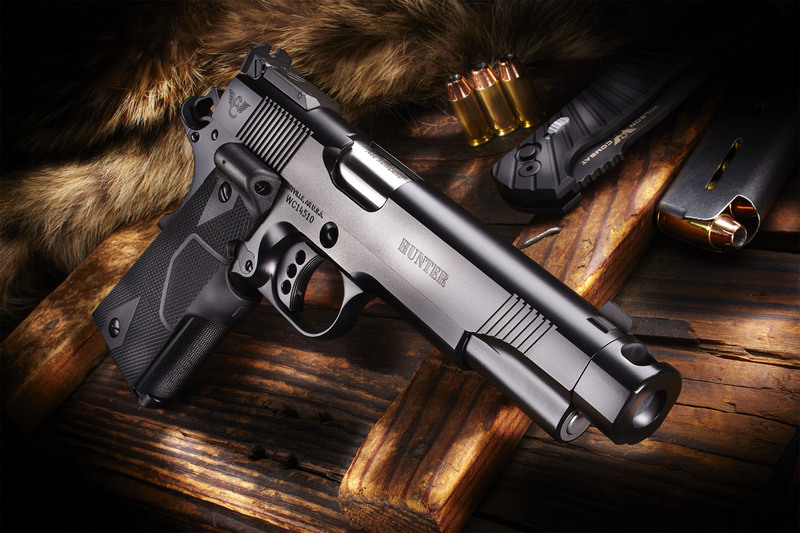 The compensator and integral, supported feed-ramp barrel ensure that the highest performance ammunition available can be safely fired in the Hunter. 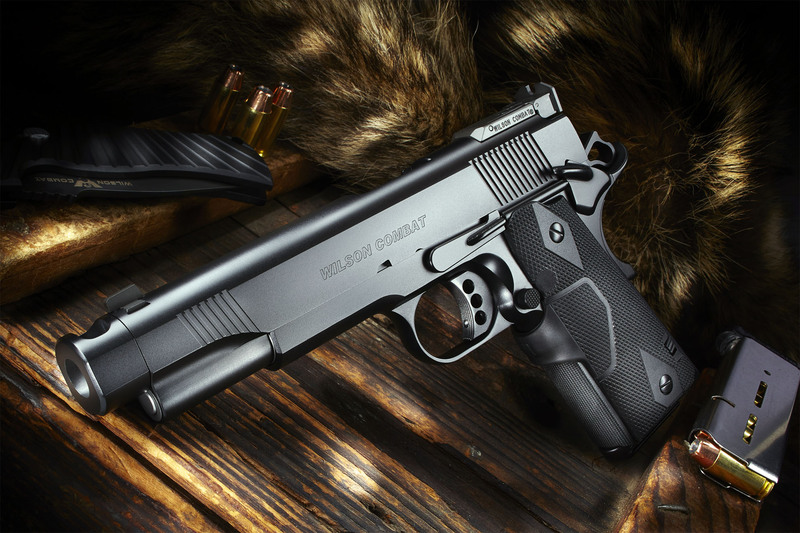 When chambered in .460 Rowland, the Hunter offers .44 Magnum performance out of the time-proven 1911 platform. 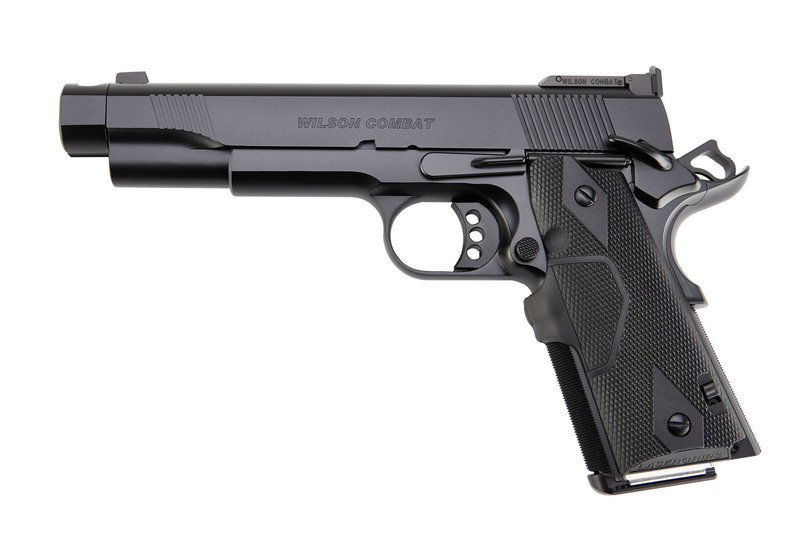 It’s almost a half-inch slimmer than a typical large-caliber revolver, with an easy-carrying flat profile and superb trigger for which Wilson Combat pistols are known. We’ve tested the Hunter with 185, 200 and 230 grain bullets and all shot essentially the same point-of-impact, making it an ideal hunting handgun with an eight-round capacity. Whatever cartridge you select, the Hunter will enable quick, accurate shooting on game with the benefit of quick follow up shots.